In previous versions of OSX, I could use Ctrl Shift Power on my built in keyboard, or Ctrl Shift Eject on my (old) Apple bluetooth keyboard to lock the screen. After upgrading to Sierra, that shortcut stopped working. Using Karabiner-EventViewer I discovered that pressing the built in power button triggers SysKey 0x6, and the Bluetooth keyboard Eject triggers no events. Whats going on, and how can re-enable that shortcut? There are different ways to lock your screen. Note: These shortcut tips are for Sierra and below. 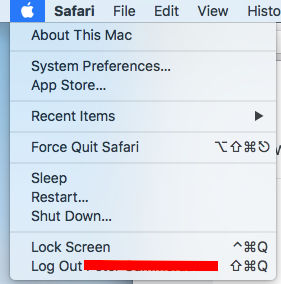 In High Sierra, there is a new entry under the Apple Menu (with shortcut) to lock the screen. Open keychain -> Settings. Choose from there Show keychain status in menu bar. You can now choose from the menu bar to lock your screen. With this option, you need your password to log in next time. 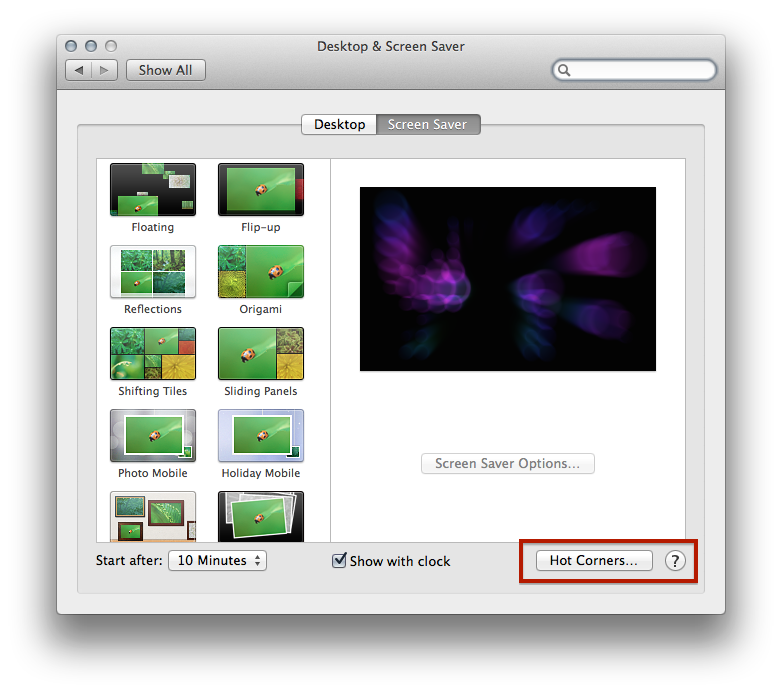 First, go to your System Settings -> Desktop & Screen Saver and choose Hot Corners on the bottom right. Next, choose one of the corners the option Put Display to Sleep. I prefer bottom right, but this is by each user different. That's all. One note: You can configure in the Privacy Settings when the display will be locked. For example, if you have it set to five minutes, you need to enter your password after the time in your setting is gone. You can change this to immediately, for example. Because @Flimm asked for a shortcut to lock the screen, here is a solution below High Sierra. CTRL+Shift+Eject-Key to lock the screen. Both solutions are not my favourites, and for that reason, I've created a Shell Script with Automator. Thanks to Taylor who gave me this hint. Open Spotlight and type Automator to open the Application. Choose Service to make as global Service. On the left Pane, choose Utilities; and on the right column, double-click Run Shell Script. You see a Window with the Cat-Command. Make sure that on the top right of the Automator-Window, both pull down-menus are set as no input in any application. Click on the top right to the Run-Button (marked with green circle) and test if it works. Save your workflow now as Lock Screen, for example. 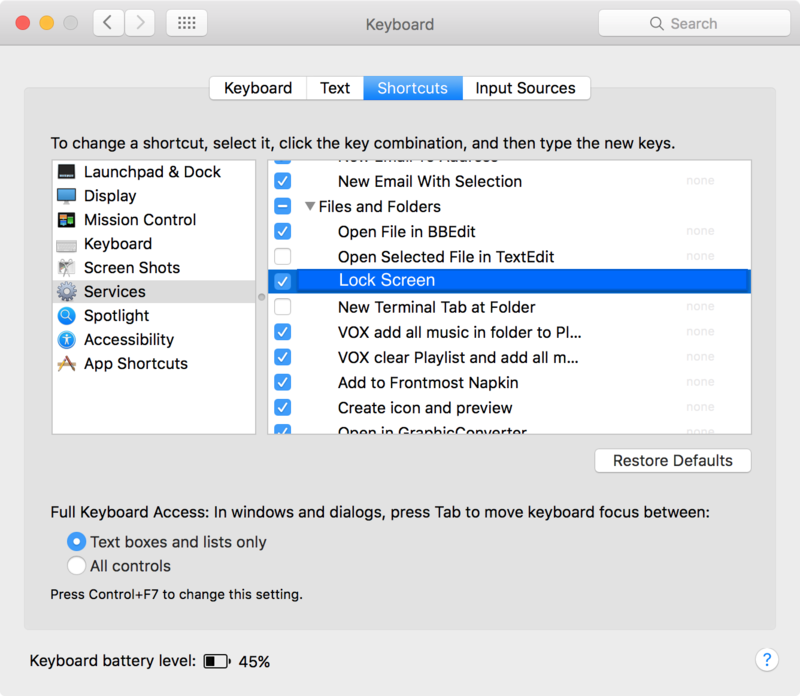 Open System Preferences, Keyboard and click on the Button Shortcuts or Keyboard Shortcuts. Choose on the Left columns Services and search for your saved workflow. Add your favourite Shortcut (e.g. I have Cmd + Alt/Opt + L). For better understanding, I have put the pictures below. 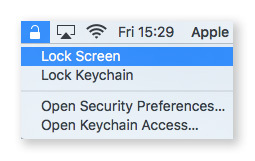 In macOS High Sierra (10.13) there is a 'Lock Screen' option built in the Apple menu. If you have a 2016 or later MacBook Pro with Touch Bar, you can assign one of the Touch Bar virtual keys to lock the Mac. It's under System Preferences/Keyboard and use the "Customize Control Strip…" button. 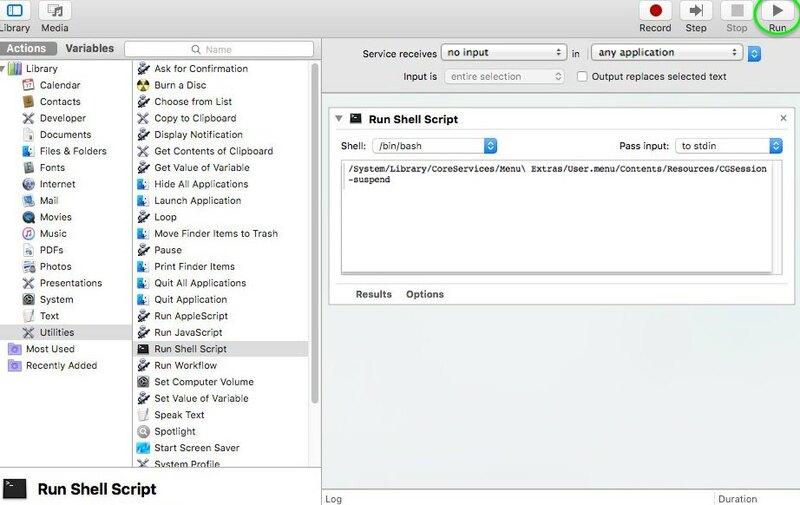 You can setup a keyboard shortcut of your choice by creating a Service using Automator. 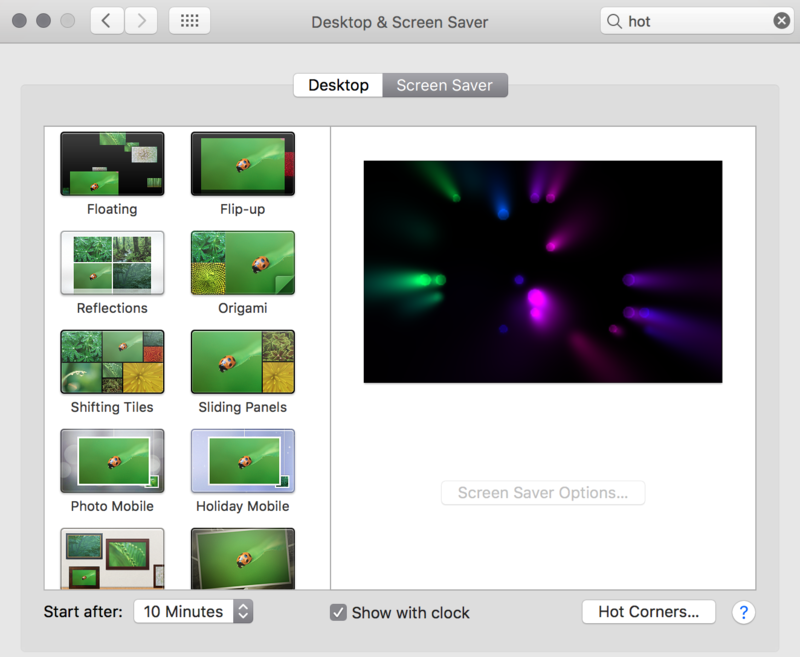 Open Automator (Cmd ⌘Space then enter Automator). In the left pane, pick Utilities → Run Shell Script (or use the search field), and drag it into the Actions pane (the right one). Just above that action, select Service receives no input in Any Application. Enter "/System/Library/CoreServices/Menu Extras/User.menu/Contents/Resources/CGSession" -suspend as the text of your shell script (be sure to include the quotes). Save your service and give it a name. Open  → System Preferences → Keyboard → Shortcuts → Services → General (at the very bottom of the list). Make sure the service you’ve just created is checked/enabled. Click none to assign a keyboard shortcut to it. Now try your keyboard shortcut. You'll be kicked to the login screen. It might appear as though this logs you out, but it does not. The service is also accessible from the Menu Bar → Application Name → Services. I think the very first time I set it up, I actually had to click it from there before the keyboard shortcut worked, but that might have been a fluke. If you prefer to sleep your display instead of locking the screen, use pmset displaysleepnow as the shell script. This will put your display to sleep, though in that case your screen will only lock after the set timeout specified under  → System Preferences → Security → General. You could even go crazy and setup both services. but I prefer the screen saver approach. See the Hammerspoon docs for all the automation magic it enables. You can put your mac to sleep with ⌘ command + option + ⌽⏻. Before that, have the setting as shown in the screenshot below. Works for me on macOS Sierra! Hold down the power button for about a half second. This will sleep the computer. If you have it set to lock when the computer sleeps, you're good to go. However, if you hold it down too long, it will ask to restart the computer. Edit: As ingenious stated, some keyboards do not have a power button. In that case, attempt to locate a sleep button or try another method. Apple removed has removed this shortcut for security purposes & due to issues with bluetooth connectivity. You can utilize Hot Corners as a work-around. When I hold down Command and drag my mouse to top left corner, my computer locks it's screen. 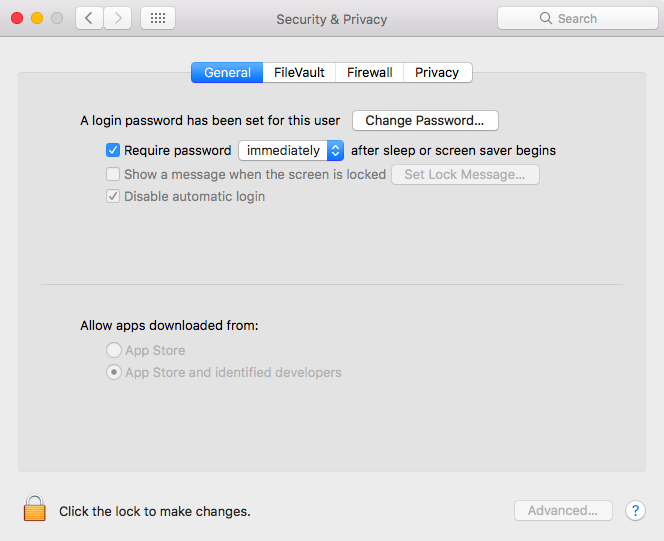 Go to System Preferences >> Security & Privacy. 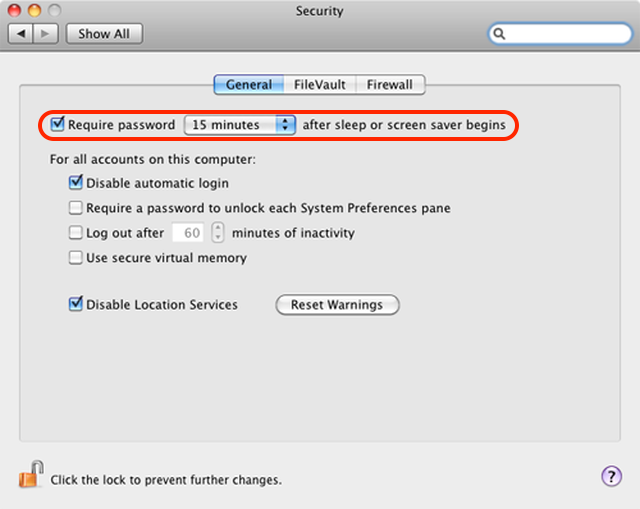 Set your Mac to require a password immediately the screensaver starts or your computer wakes from sleep. Finally, whenever you want to lock your computer, just press the key combination of Ctrl + Shift + Power button. 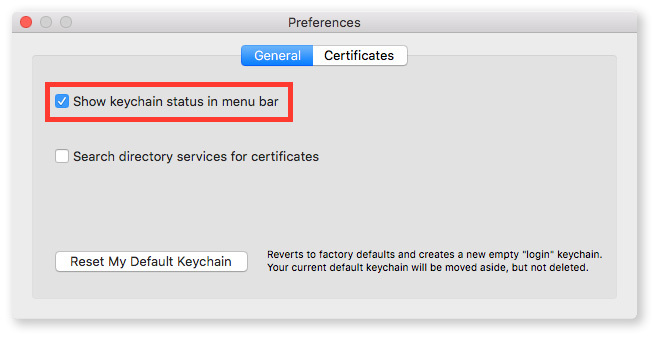 In macOS Sierra 10.12.6, I used the Keychain Access application > Preferences > Show Keychain Access in menu bar. I've just upgraded to macOS High Sierra 10.13.1 and that preference is no longer there. Thanks to @pjc90 above, I now know about the "Lock Screen" option in the Apple menu, and the keyboard shortcut (finally) "Command ⌘ + Control ⌃ + Q". Not the answer you're looking for? Browse other questions tagged keyboard sleep-wake shortcut sierra . How to fix keyboard layout bug in Sierra?